Marvel Comics has released its solicitations for November. For a rundown of trade paperbacks, CLICK HERE. Image Comics has released its solicitations for November. 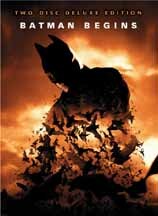 Warner Home Video announced on Monday that Batman Begins, which just went past the $200-million mark at the box office last week, will be released on DVD and VHS on Oct. 18. *DVD ROM Features: �Batman Begins Mobile Game Demo & Weblinks. * Interactive Menus: �Inner Demonds Comic -- Explore the special features through an exclusive interactive comic book. *�Exclusive collectible 72-page comic book featuring Detective Comics #37 - the very first Batman story; Batman: The Man Who Falls - a classic story that inspired Batman Begins; Batman: The Long Halloween - a chilling excerpt that also inspired the film. "Batman Begins explores the origins of the Batman legend and the Dark Knight's emergence as a force for good in Gotham. In the wake of his parents' murder, disillusioned industrial heir Bruce Wayne (Christian Bale) travels the world seeking the means to fight injustice and turn fear against those who prey on the fearful. He returns to Gotham and unveils his alter-ego: Batman, a masked crusader who uses his strength, intellect and an array of high tech deceptions to fight the sinister forces that threaten the city." Below are three of the display items that will be used for the DVD's release. Click on the thumbnails for larger images. �� Image Comics announced on Monday that Bone Rest #1 and Grounded #1 have sold out at Diamond and will go back to press for second printings. �Both books sold out despite a 25 percent overship to retailers as well as Image's standard overprint. �� The second printing of Grounded #1, due in stores in mid-September, will feature a new cover by series artist Paul Azaceta. The second printing of Bone Rest #1, in stores on Aug. 24, features a collaboration between series artist Giuseppe Camuncoli and painter Gabriele Dell'Otto. �� "When the news started to come in about selling out, I was overwhelmed," said Azaceta. "Luckily, I get to do a whole new cover for the second printing as kind of a thank you to the fans. The new cover has real significance to me, because I couldn't have done it if it wasn't for the great response we've received." "I'm really thrilled with the response, both critically and commercially, to Grounded," said writer Mark Sable. "It only gets better from here, and although issue 2 is a great jumping-on point for new readers, I'm glad Image is going out of its way to make sure that no one has to miss out on our debut." Acclaimed overseas, Bone Rest #1 marks the series' debut in the United States. "Since Bone Rest sold out so fast, Image Comics is releasing a second printing with a brand new cover by myself and red-hot painter extraordinaire Gabriele Dell'Otto, who people got to know on Marvel's greatly successful Secret War mini-series," said Camuncoli. "I'm so happy with how Bone Rest has been doing that right now, if the real Apocalypse started tomorrow, I wouldn't even notice!" For covers and five-page previews of Image Comics titles arriving in stores on Wednesday, CLICK HERE. Titles include Spawn #148, Girls #4 and Godland #2. 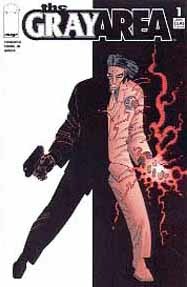 Glen Brunswick, writer of Image Comics's The Gray Area, said he and artist John Romita Jr. are "simply thrilled" to have the property optioned for film by Benderspink. "They seem to have a knack for turning out really fun, quality pictures," Brunswick said. The Gray Area is a supernatural thriller that follows Rudy Chance into the afterlife following his execution at the hands of the drug cartel he sought to double-cross. A brutal, corrupt copy an womanizer, Chance expects to wind up in Hell. Instead, he finds himself in the Gray Area, where he is given extraordinary powers and forced to combat evil as part of a kind of afterlife "police force" in order to gain a shot at redemption. Benderspink is viewing the property as a potential franchise. "While we realize that a Gray Area film is still a long way off from actually happening, it's heartening and exciting to be shown such a strong degree of enthusiasm from Benderspink for our original source material," Brunswick said. Brunswick was recently tapped to write the film adaptation of the Wildstorm/DC comic Ex Machina for New Line. Both Benderspink Productions and Brunswick are attached as producers on Ex Machina. Rudy Chance makes his next comic book appearance in a short story by Brunswick and artist Cully Hamner, set to run in the upcoming Image Comics Holiday Special, on sale in December. * Coming Wednesday: DC news -- and much more. * For Wednesday, Aug. 10, including Marvel and DC First Looks and a rundown of DC's upcoming trade paperbacks, CLICK HERE. * For Tuesday, Aug. 9, including Ultimate Avengers DVD news, CLICK HERE. * For Monday, Aug. 8, including Infinite Crisis news and Vertigo, Spider-Man and Aspen panels at Wizard World Chicago, CLICK HERE. * For Sunday, Aug. 7, including Top Cow, House of M and Ultimate panels at Wizard World Chicago, CLICK HERE. * For Saturday, Aug. 6, including Cup O' Joe, Marvel Knights, Brian Michael Bendis and DC Comics panels at Wizard World Chicago, CLICK HERE. * For Friday, Aug. 5, including WildStorm's panel at Wizard World Chicago, CLICK HERE. * For Thursday, Aug. 4, including Sin City news, CLICK HERE. * For Wednesday, Aug. 3, including exclusive contracts for Tony Daniel and Brian Michael Bendis, and Marvel and DC First Looks, CLICK HERE. * For Tuesday, Aug. 2, including Cartoon Network's schedule of DC Comics show through Sept. 4, CLICK HERE. * For Monday, Aug. 1, including Superman Returns news, CLICK HERE. * For Friday, July 29, including news from Michael Turner and J. Scott Campbell, CLICK HERE. * For Thursday, July 28, including Marvel movie news and Top Cow's Necromancer, CLICK HERE. * For Wednesday, July 27, including Marvel and DC first looks, CLICK HERE. * For Tuesday, July 26, including Brian K. Vaughan talking about the Ex Machina movie, CLICK HERE. * For Monday, July 25, including Elektra DVD news, CLICK HERE. * For Saturday, July 23, including Smallville news, CLICK HERE.